Ever since upgrading to iOS7, I’ve had enormous battery life issues with my iPhone 5. For now, that means trying to find a solution before I resort to getting a new phone. There are no lack of cool battery charging cases and battery charging packs out there, but none like these. That’s because it’s customized with your own photos. I’ve had my eye on Uncommon smartphone cases since we featured them here on Cool Mom Tech while back, so how cool that I was able to make one of their new custom battery charging cases. And let me just say, I’m in love. 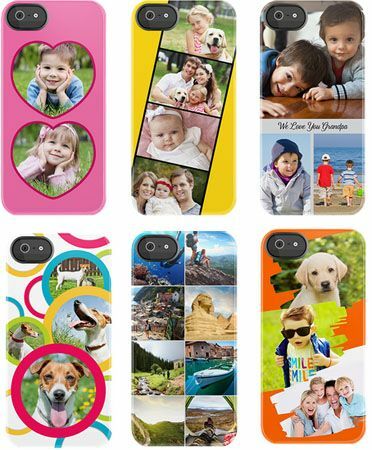 To create your case, you simply upload your favorite photo–or photos if you choose to use one of their many templates–then they’ll tell you whether the photo has a high enough resolution to turn out well. Very helpful considering a few of mine didn’t work. And the quality of the imagery, let’s just say I’m getting compliments all the time. The case gives you a full charge when it’s fully charged itself. And unlike a few battery charging cases I’ve tried, the bumper side makes it fairly easy to pop on and off while still keeping your phone protected. 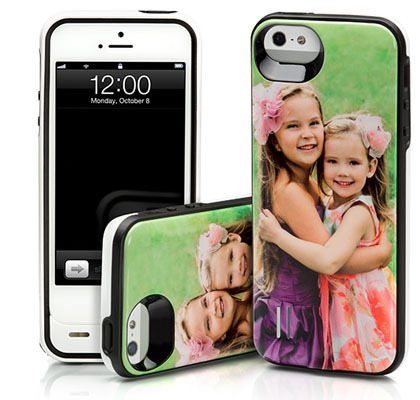 You can purchase a custom PowerGallery Uncommon battery charging case on their website. It’s currently only available for the iPhone 5 and 5S.